Change can be good. Healthy. Rejuvenating. 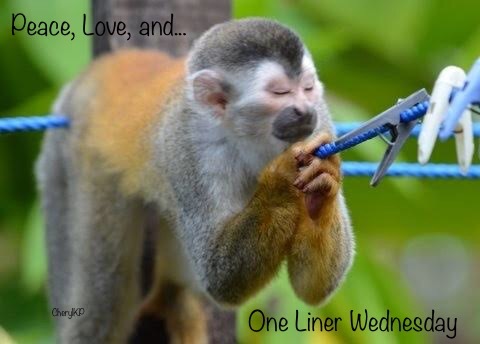 I’ve been thinking my Wednesdays could use a facelift and son of a gun if Linda doesn’t have a fun feature called One-Liner Wednesday. It’s a lot like wcw but sort of not so I say we give it a whirl. Woo hoo! Sounds like a plan! Welcome to #1LinerWeds, Laura – you made a fine entrance!